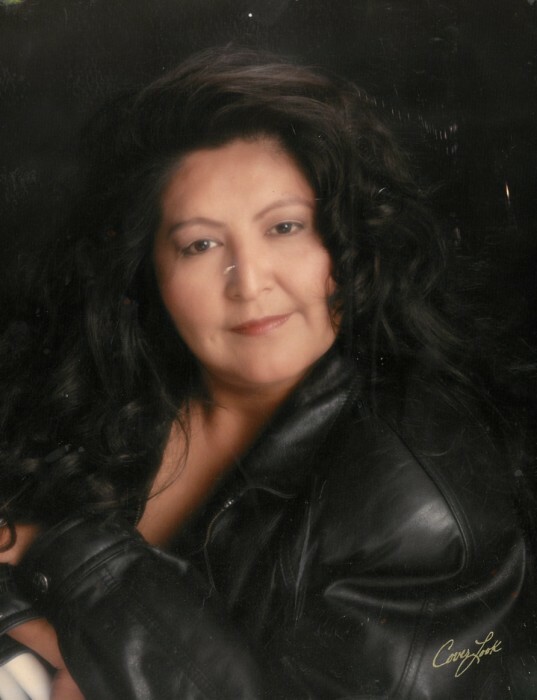 Delaine June Sixkiller, age 55, of Ft. Duchesne, passed away November 23, 2018, at the Intermountain Medical Center in Salt Lake City after a long illness. She was born January 9, 1963, in Whiteriver, Arizona to Valentino Sr., and Floydina June Grant James and was raised by Ramon Appawora. She married Jack Sixkiller on July 30, 1988, in Randlett. Delaine had worked as a secretary for the Ute Tribe, and as a manager at AJ’s Bar, and also at the Ute Tribe Headstart Day Care center – she loved working with the little children. She enjoyed doing beadwork and selling her creations; camping; collecting purses and jewelry; going to Pow Wows; and her social life with friends and family. She was very stubborn and it was her way or the highway. She loved and took care of her family, especially her husband, and helped raise most of her nieces and nephews. He favorite color was yellow and she was famous for her salads. Delaine is survived by her husband, Jack, of Ft. Duchesne; children, Justin Sixkiller (Shara Anderson), Salt Lake City; Mahalia Checora, Ft. Duchesne; Keree Cuch, St. George; grandchildren, Kymmura McCook, Natasha Garcia, Ryker & Reina Checora; great-grandchildren, Miklo & Jezell Garcia; siblings, Valentino James, Jr., Ft. Duchesne; Carma (Elvis) Lavender, Arizona; Terry Martinez, Ft. Duchesne; Marlo (Chris) Viveros, California; Bobbie Appawora, Vernal; Brian James and Loren James, both of Arizona; aunts, Pauline Black, Angie (Dale) Shavanaux; uncle, Jonas (Joy) Grant uncle Jonas Grant, and numerous other aunts, uncles, cousins, nieces and nephews. Funeral services will be held on Thursday, November 29, 2018, at 10:00 a.m. at the Holy Spirit Episcopal Church in Randlett. There will be a wake on Wednesday after 4:00 p.m. at the Ft. Duchesne Gym.